This is Kimiko Kawabata, a Japanese calligraphy artist, living in Leiden (the Netherlands) since 1972. Inspired by haikus of master poet Basho describing the beauty of the area of Fukushima, Kimiko made a series of calligraphies for an exposition in Huis de Pinto in Amsterdam. Next weekend, during the closure of the exposition a series of concerts will take place. 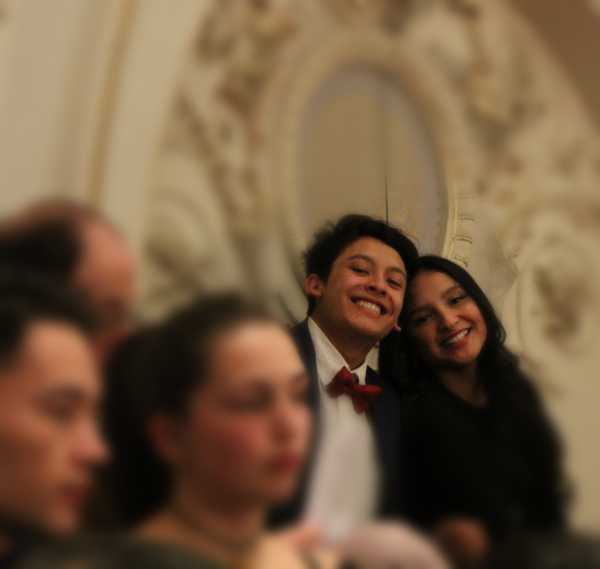 One of the concerts will be given by Hambre y Sed the guitar ensemble of which Kimoko Kawabata is a member. This is Thomas Vowinkel, an electric bass player from Germany who got interested in classical guitar playing. 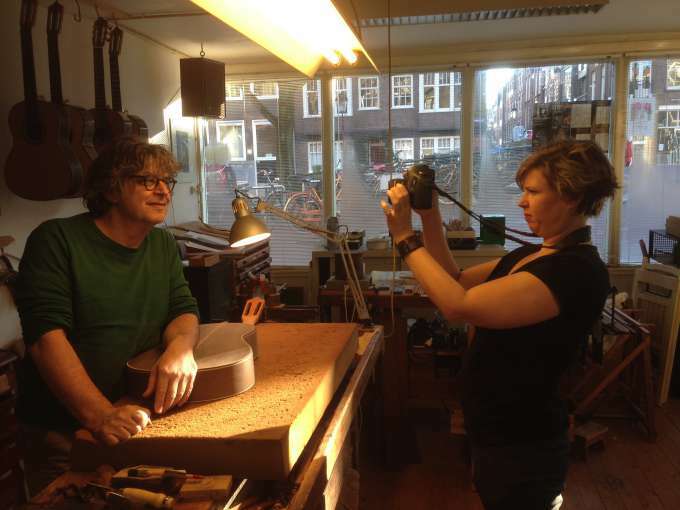 When he started looking for a new instrument he found out about a guitar maker in Amsterdam, named just like him! Although my grandfather – named Otto Vowinkel too – comes from the same area as where Thomas Vowinkel comes from, it seems like that Thomas and I are not related family wise. Thomas took some beautiful pictures of his stay in Amsterdam. The one on top he named The three Vowinkel’s. This is Tom. 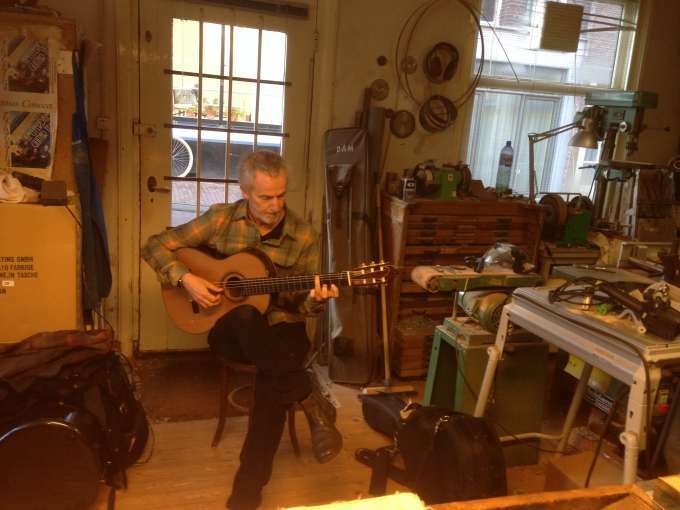 He came to the workshop to make this reportage about guitar making as a profession. 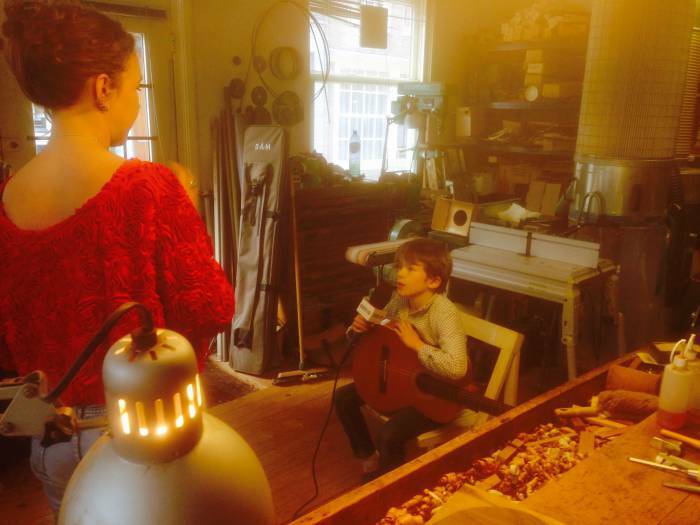 The reportage was broadcasted on AT5, Amsterdam’s News Channel. 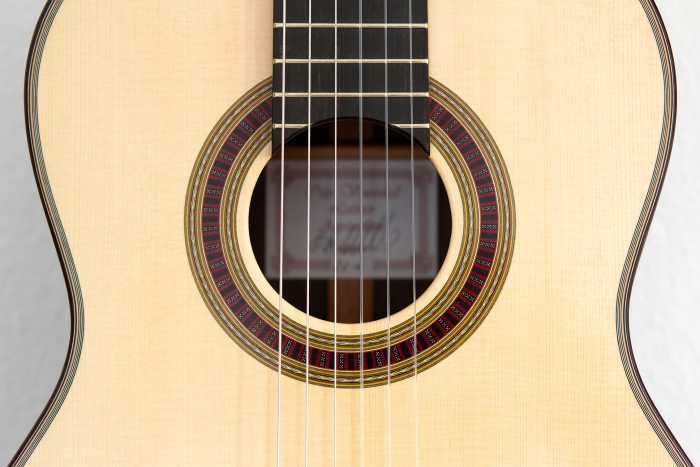 Tom likes playing the guitar and wanted to know how a guitar is being made. 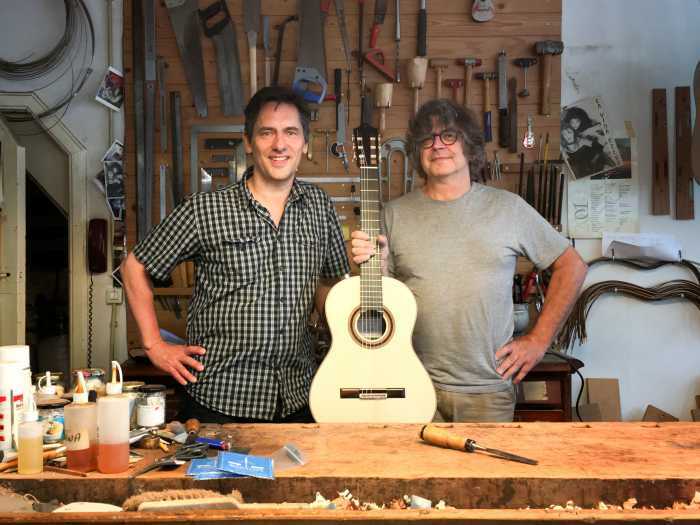 Since the reportage is part of a series about all kind of professions, I told him the best way to become a guitar maker is to just start making them.